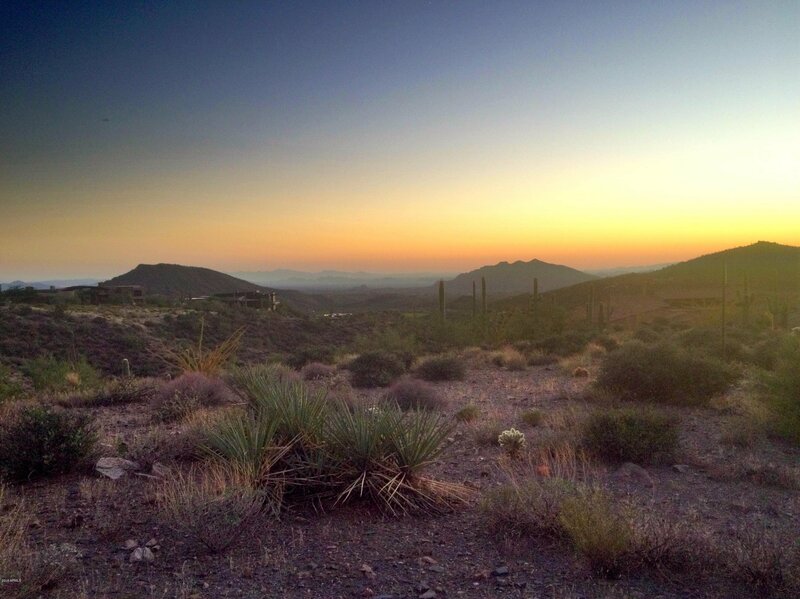 Spectacular Saguaro Forest non-membership homesite. Ideal south-facing homesite with minimal site prep. Gently sloping topography, not extreme hillside, may allow a home with few or no interior steps -- very rare in Saguaro Forest. Lot contains 1.5 acres with 18,747 square foot envelope. Adjacent deep arroyo preserves privacy while the lot's high elevation preserves mountain, sunset and city light views. Golf or Lifestyle Memberships are available through the Desert Mountain Club.